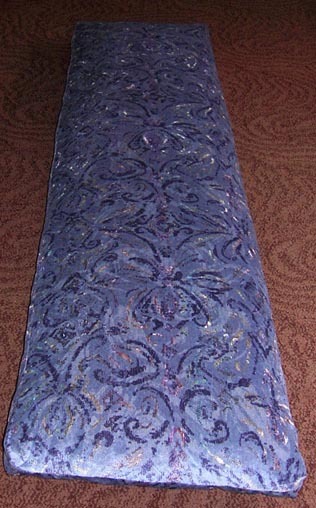 We offer a wide selection of custom pillow creations from window seats to camper pads to yoga mats. Specialized futons for children's cubby holes, dog pillows to fit any sized car, and even customized pillows of any size are all available upon request. We make all our furniture from high quality, durable fabrics in a wide selection of pattern and colors, filled with specially cut polyurethane foam to offer comfort and support for years. Use your imagination, and contact us to make your dreams come true! Shown above is an example of an eight foot custom window seat cushion! 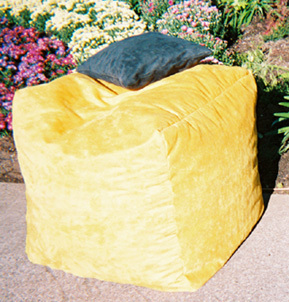 A custom kids-sized version of our popular foam chair in colors of The University Of Oregon. Go Ducks! 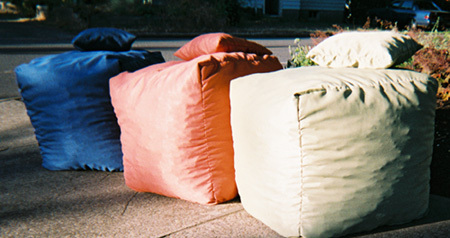 Custom foam chairs constructed from special fire-resistant fabric. Sixteen of these chairs were constructed for a youth center's recreation room! 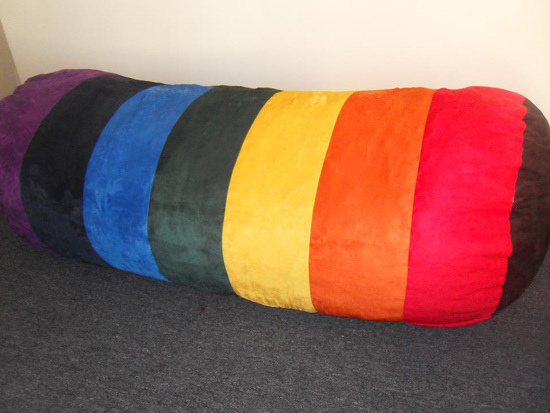 A custom seven foot long rainbow cylindrical loveseat set! Definitely one of the most creative pieces we've ever made! 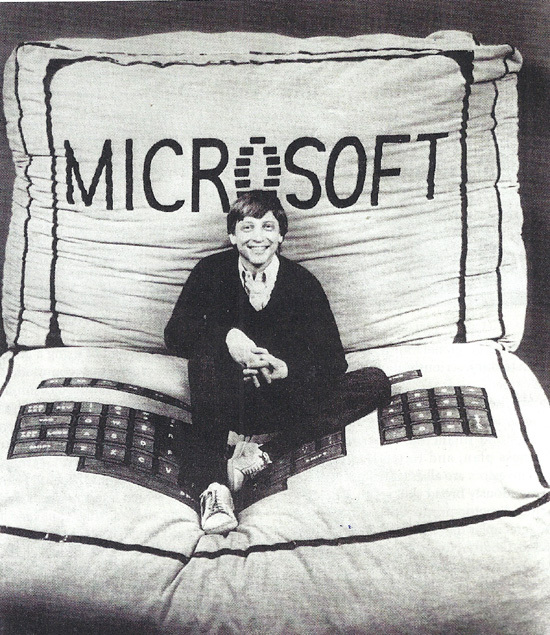 A custom Microsoft pillow made for a photo shoot with Bill Gates for People Magazine way back in the 80's!